If you’re a member of the deejaying world, chances are, you’ve heard of the brand Serato. If you’re new to it, Serato is a New Zealand-based DJ technology company. 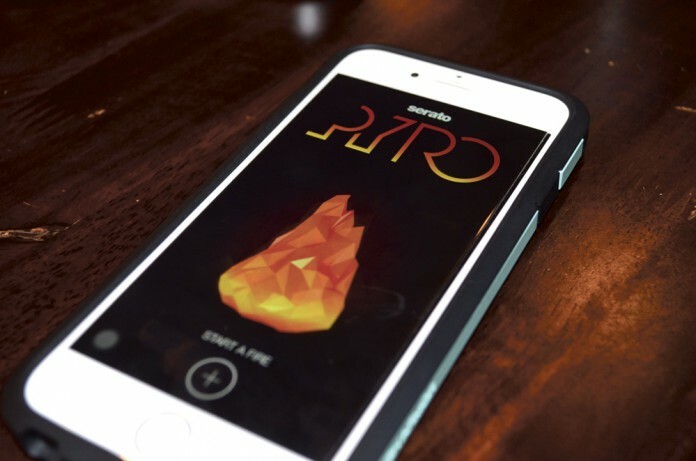 On Feb. 11, the company released an app named “Pyro” which is essentially a pocket DJ. With its simplistic visuals and striking color combination, Pyro is a very straightforward app to use. Although you do need a Spotify Premium subscription to use Pyro through Spotify, the app also allows you to compile playlists through iTunes. Swipe left on a track to delete it from the playlist; swipe right to play it next. The songs are all matched by beats per minute (BPM), but as of yet, Pyro hasn’t added a feature to match by key. Serato has taken these features and put some of them into Pyro, allowing you to shuffle your songs. If you reach the end of your playlist, Pyro begins to recommend similar-sounding songs. Since it works off of Spotify Premium or iTunes, there are no advertisements, which calls for continuous, non-stop music that seamlessly flows into one another. Serato isn’t the only company to create a pocket DJ. Last year, Spotify also unveiled beat-matched, professionally-mixed playlists, including one by Diplo. The difference between Spotify and Pyro is that the latter is much more streamlined, which makes it easier to have a playlist that you have complete control over. Serato’s Pyro is available worldwide on the Apple Store for free. An Android version is currently in the works.